Four days into the ongoing parliamentary debate on the Population White Paper has seen both parties in the Singapore government reach a common ground on three areas. Both parties agreed that its economy cannot move headlong into the future at full throttle. They also agreed on managing the republic’s dependence on foreign workers as well as creating good jobs for Singaporeans. However, their recommendations were diametrically opposed. 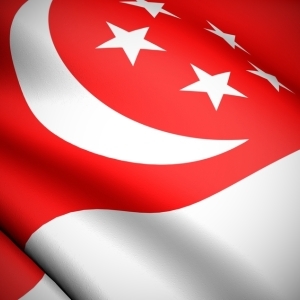 Analysis by Singapore company registration specialist Rikvin shows that the Workers’ Party’s (WP) proposal “A Dynamic Population for a Sustainable Singapore” focuses primarily on creating a more dynamic Singapore comprised of a strong and more harmonious citizen core. It also proposes on focusing and sourcing within Singapore to tackle its various manpower and societal challenges. For example, to tackle Singapore’s low birth trend, it proposed introducing institutional reforms to remove roadblocks for young couples to start families, rather than using monetary incentives to promote births. It has also proposed granting citizenship status to foreign spouses of citizens, tapping Singapore’s existing pool of senior citizens as well as women as a manpower resources and improving the quality of life of Singapore’s current population. Freezing the inflow of foreign workers may not be suitable for certain industry sectors whose processes face limits when it comes to automation. There has to be some degree of openness in any case so that the economy still creates good opportunities for Singapore and a larger global community in future. Nevertheless, if we truly want to become a more inclusive and harmonious society and promote fairer workplaces, then measures must be taken to address the real needs of Singaporeans. It also recommended the heavily-contested freeze on foreign worker intake in order to create more opportunities for Singaporeans. In addition, it criticized the White Paper for using the cause of its current pain points – uncalibrated immigration – to mitigate future challenges. The ruling party, People’s Action Party (PAP) however, as detailed in its White Paper “A Sustainable Population for a Dynamic Singapore,” is concerned that freezing the inflow of foreign workers will hurt businesses and in turn damage Singaporeans’ prospects for better jobs and wages. They are more keen on softening the blow for firms, especially SMEs that have opted for Singapore company incorporation as the country restructures its economy. According to Minister in the Prime Minister’s Office and Second Minister for Home Affairs and Trade & Industry S Iswaran, WP’s alternative will hurt Singaporeans, workers and businesses. In addition, it will hurt Singapore’s reputation and efforts to attract new businesses that can offer diverse job opportunities that better-educated Singaporeans seek. He asserted that firms must be given enough time to adjust and restructure. At the same time, the economy will have to find a new equilibrium. Further analysis by Rikvin shows that Singapore’s rankings have taken a hit in recently released ranking surveys by Bloomberg and Ernst and Young, in part due to the manpower policies it effected last year. “In addition, since the 2011 watershed elections, it has faced a divided country that is increasingly impatient for change. Freezing the inflow of foreign workers may not be suitable for certain industry sectors whose processes face limits when it comes to automation. There has to be some degree of openness in any case so that the economy still creates good opportunities for Singapore and a larger global community in future,” explained Ms. Christine Lim, General Manager of Rikvin. “The issue Singapore is facing now, is that many citizens, especially those in the lower to mid income bracket or those who are less mobile, feel that they are facing the brunt of the pain points. If we truly want to become a more inclusive and harmonious society and promote fairer workplaces, then measures must be taken to address the real needs of Singaporeans,” she affirmed.